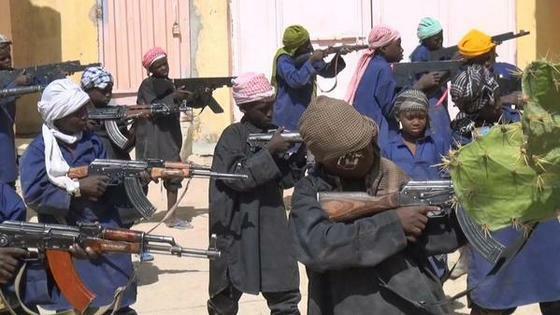 Information reaching us indicate that the over 80 children that were rescued by military operatives from Boko Haram camp in Cameroon cannot remember their own names or origins. This was made know to BBC on Wednesday by a director for the US-based National Democratic Institute (NDI), Christopher Fomunyoh. The official who visited them said the children; aged between 5 and 18 did not speak English, French or any local languages, adding that the affected children were found at a camp in northern Cameroon in November last year. He said the children were rescued in Cameroon after security forces acting on a tip-off raided what was believed to have been a Koranic school. Fomunyoh further revealed that he has visited an orphanage that was saddled with the responsibility of rehabilitating the children. According to him, the children have spent a long time with their abductors, where they have being indoctrinated in jihadist ideology, that have made them lost track of who they were. “They’ve lost touch with their parents. They’ve lost touch with people in their villages, they’re not able to articulate, to help trace their relationships, they can’t even tell you what their names are,” he said. It would be recalled that after the military made Nigerian territory unbearable for the Islamist sect, most them flee to Cameroon and build camps. The Islamic militants who are fighting to establish a caliphate in north-eastern part of Nigeria have been severely dealt with of late by the military operatives, but instead of relenting in their attacks and surrendering to the Nigerian government due to the huge casualties which is almost on a daily bases, the sect went ahead to pledged allegiance to Islamic State (ISIS) militants, who have seized large areas of Syria and Iraq. However, a middle-aged woman carried out a suicide bombing attack on Tuesday at a marketplace in Maiduguri, killing at least six people. It would be recalled that the army ambushed the Boko Haram insurgents, who were trying to enter the town of Gombi, Adamwa State. Check Out Photos Of Mercy Johnson’s Step Children, All grown. Next articleNewborn Baby Abandoned In Lagos Named After A Well-Known Man; GUESS WHO?